«Contribution Award» – VII All-Russian public award for cooperation in donor movement development – is open for participants. The award is created to support organizations and individuals whose activity is aimed at solving issues in the blood donation field. To apply for the selected nomination you need to review award regulations. The basic document of the award determines the content of the nominations, the criteria for selecting the winners, the timing of the award. In 2016 within the framework of «Contribution Award» two contests are conducted: the main and creative. Applications may be filed by socially oriented non-commercial organizations; commercial organizations; state and municipal agencies; authorities; initiative groups; volunteers, implementing projects related to the blood donation field; Media and representatives of the citizen journalism, as well as citizens. To apply, you should fill in a special electronic form on the official website of one of the founders of the awards – the National Health Development Fund. Applications of the «Contribution Award» contestants are accepted until September 10, 2016. «We provide contestants with the opportunity to apply electronically using «Google-shaped» and «Yandex.Disk» services. It significantly expands the geography of our members. Step by step form filling will help a contestant to structure his application. By using «Yandex.Disk» a contestant will be able to show the jury his work in a variety of formats: video, audio, presentations, photo galleries, etc.», – says the director of the National Health Development Fund, the deputy head of the Coordination Centre of blood donation at the Public Chamber of the Russian Federation – Elena Stefaniuk. The award regulations are available in the thematic section on the National Health Development Fund official website, as well as in social networks. 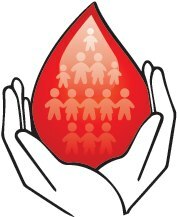 The «Contribution Award» was established in 2010 by the National Health Development Fund and by the Coordination Centre of the organization, development and promotion of voluntary blood donation at the Public Chamber of the Russian Federation and is given annually. Results of the VII All-Russian «Contribution Award» contest will be announced in the autumn 2016.